The Congregational Care Ministry at Zion Church exists to help our faith community grow stronger in life’s broken places. The goal of this ministry is to empower people to find spiritual, emotional and physical health during difficult life transitions and experience God’s healing grace. As individuals become whole and well, they will once again be able to engage in the ministry and mission of making disciples in God’s kingdom. For more information, please contact Pastor Blanca Baker at bbaker@susumc.org, or at 717-843-5261. Trained homebound ministers make visits to those in our congregation who are unable to attend services due to extended illness or residency in a care facility. 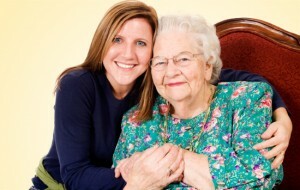 You may be visiting people in their home, in an Assisted Living facility, or in a nursing home. This ministry is an affirmation of our faith in God and our belief in God’s power to comfort, strengthen, and heal. 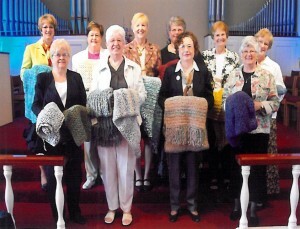 The prayer shawl ministry team knits or crochets shawls that are given to persons who are ill, have suffered a loss, or are in the midst of a life crisis. The shawl is made with prayer You can join the Prayer Shawl Ministry by getting involved in making shawls or by requesting a shawl for a friend or love one you know that is in need. The recipient of the shawl can wrap up in it and feel God’s arms around him or her. Do you love to cook and never have enough people to feed? Do you have a heart for helping others? Have you ever brought a dinner to a family in need? If you’ve answered yes to any of these questions and you are looking for a way to serve others, this ministry is for you! The casserole ministry provides a meal for families in need when a crisis is surrounding them. Ministers on this team are contacted by the coordinator of this team and are asked to make an deliver a meal to a family in need. We believe that prayer is a central element in the Christian life, both corporate prayer and individual prayer. Believing this to be true we seek to incorporate prayer into every aspect of our community life. We do this in simple ways, such as praying at every meeting, and in systematic ways, such as the use of prayer chains and special prayer opportunities. Because prayer is the foundation of all that we do, our prayer room is located on the ground level of our church and provides a sacred, quiet space that enable prayer to be meaningful and special. Our congregation’s Stephen Ministry equips lay people to provide confidentail, one-to-one Christian care to individuals in our congregation and community who are experiencing difficulties in their lives. A Stephen Minister is a caring Christian friend who listens, cares, prays, supports, and encourages during this difficult time. If you could benefit from confidentail, one-to-one care and support of a Stephen Minister, or if you are interested in becoming a Stephen Minister contact Pastor Reda or Sharon Shuler by e-mail or at 843-5261. Moms Caring for Moms is a ministry to serve and support the new moms in our church family. The biggest part of this ministry is to provide meals to the families with new little ones at home. Grieving people need the healing touch of God. Through our Grief Recovery Ministry, we reach out to those who grieve and know death with a ministry of hope and encouragement, given to us by our resurrected Christ. When a loved one dies there are so many decisions that need to be made in a very short period of time. This always brings a lot of stress into the lives of grieving family members. We do our best at Zion Church to extend love and care to these families as they go about the difficult work of grief. The purpose of this ministry is to offer a fellowship meal free of charge to grieving families after a funeral or memorial service.